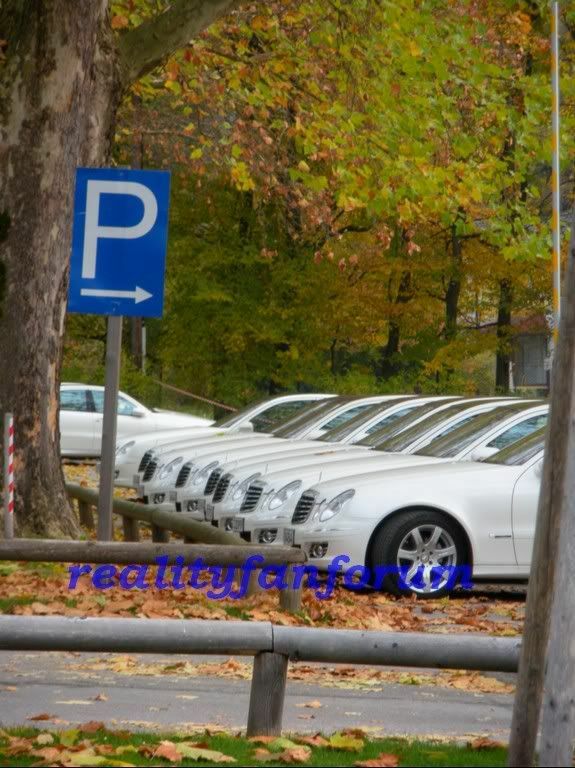 Re: The Amazing Race 14 Speculation and Sightings! Is it possible that the teams just had a connecting flight in Russia or something? I can't see them going to the same country in back-to-back seasons. I know they do it with India all the time, but India is just crazy. I have heard rumors of Turkey being visited. I've also heard rumors the racers are eating turkey somewhere on this race, but nothing confirmed. Boingo, I too have been to the Black Church recently (August). It is a massive exterior structure with some great history inside, but I don't see any possibility of Aamzing RAce 14 going inside for tasks. There are things you can do in the vicinity outside that would make good AR14 tasks, including an eating challenge. Well Seriously gives some clues ..
And for those of you who are fans of the show, the Romania episode will be full of classics: gymnasts, gypsies, and vampires. Through some connections of mine here, I found out that the cast travels to nearby Bran Castle, engages in a challenge that included coffins and stakes, and visits a gypsy village (possibly in search of a clue). Of course, some of it plays off of the cultural myths about Romania. There is no question that some Romanians are interested in selling vampire kitsch to spook-seeking tourists, regardless of the relative lack of native tradition actually concerning the monsters. Much of the rest of the population at least tolerates it. And The Amazing Race clearly aims to take advantage. But the show exploits more than the vampire legend. The most intriguing element of The Amazing Race episode in Romania relates to the gypsy village, which was, strangely, a fake. Constructed specially for the show in an area with a relatively low gypsy population, the artificial village was “populated” with ethnic Romanians dressed up in gypsy attire. Yes, even the supposed gypsies were impostors, as authentic as their costumes may have appeared. All this was done for the benefit of a reality television show. And tourism, of course. could do 4. Doubt it though!! The f/f team are african american. Are they or is it just the photo! They were definitely not African American. I would guess that they were mid- to late- twenties, but it was getting dark so I could be totally off. The one in the pink had brown hair, the other had lighter hair, but not blond. The one in the pink dropped her water bottle, which was white. The camera man got the drop and the pick up on film, then they all started off again. They were totally heading the wrong way, convinced that lights on a pond area must be lighting the Pitstop. It took them a good five minutes to figure out where they really needed to be. I'm already liking the african american team. And here is another picture from our blogger who posted the beautiful clue box picture!! I took this picture too, I believe these are the cars they were driving. The dates that they were there: Nov 2nd and 3rd. Glad to be a help! I think you raised the issue tonight. Is this something you heard, or something you would like to happen? If it is something you heard about, can you tell us more please? For those who have not been to Salzburg (and even those that have), the Travel Channel from 12:00 to 12:30pm today is reprising the Salzburg episode of Samantha Brown's Passport to Europe. I don't remember it that well from an earlier viewing, but all of these Passport to Europe episodes follow a formula that is pretty good. I'm rooting for the Asian American couple, but with my luck an all-female team will finally win! Still, I have had some luck picking favorites to win: Chip & Kim and Uchenna & Joyce were my favorites in their seasons and they won! So did the Linz Family in the Family Edition -- they were my favorites in that season! So who's to say that I'll jinx the Asian couple by naming them my favorites? Unlike Michael, I don't have a reputation for jinxing people or teams I root for. I don't think they're going to skip Africa again. Also, they haven't done the Africa-Asia connection since TAR 7 (or TAR10 going in the reverse), so I think the somewheres are in Asia could be in Africa instead. We haven't done North Africa in ages - maybe Tunisia or (if they're really adventurous) Libya. 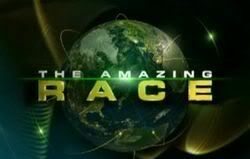 By the way, mention some spoilers for The Amazing Race on your blog and watch your traffic double. That would truly be a nightmare spoiling opportunity. Fixed! Don't forget the European version if it ever gets off the ground! so RFF Detectives are also start to work ......... right? Page created in 0.082 seconds with 32 queries.